Are you warm and fuzzy yet? THESE QUOTES ARE 100% GENUINE, WE DON’T NEED A MARKETEER TO PAINT YOU A PRETTY PICTURE! Our dynamic studio is located in Camperdown, Sydney. We house a full-service animation space, stereoscopic facilities, editing suites, art and design, story, animation, look development and experienced production departments. Flying Bark Productions is looking for Sydney based artists during June/ July to work on some short contracts. If you fit the job brief/s below please send an email with your speciality in the header to jobs@flyingbark.com.au and include a showreel with examples of your work. We look forward to hearing from you! Experience in creating frame by frame animation for television, feature film or online. Excellent ability to create dynamic key poses while referencing a storyboard, with a drive to push the performance and energy in every scene. Proven ability to create tight in-betweens that stay true to the show’s style. Knowledge of current 2D animation techniques. Ability to maintain a consistent level of productivity while meeting deadlines and producing high quality work to quota. 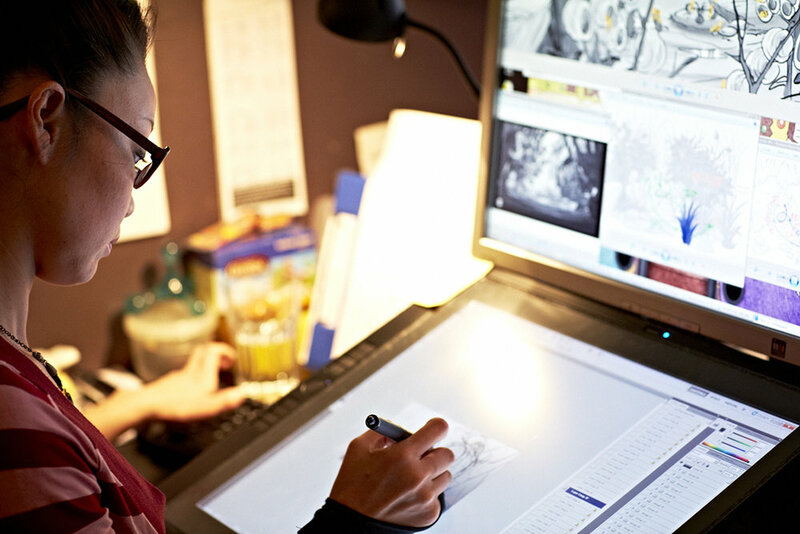 Good knowledge of Toon Boom Harmony preferred, however assistance & training will be provided for Flash-centric animators on a case by case basis. On application, please send a link to your show reel with a breakdown of what you did scene by scene. Ability to style-match as needed. Ability to coordinate with the animation team, background artists and compositors to achieve an optimum result. We're currently looking for an experienced Art Director to work on an exciting 3D animated kids TV series kicking off early 2018. In this role you’ll work closely with the show’s Director to define the look of the film and apply that to the series’ art and animation. Your stunning art work will drive the intent across character, environment, props, textures, mood, lighting, and story concepts. To be successful your skill set would include -! If this sounds like something you could sink your fangs into then please visit www.flyingbark.com/joinus and help us create magic! 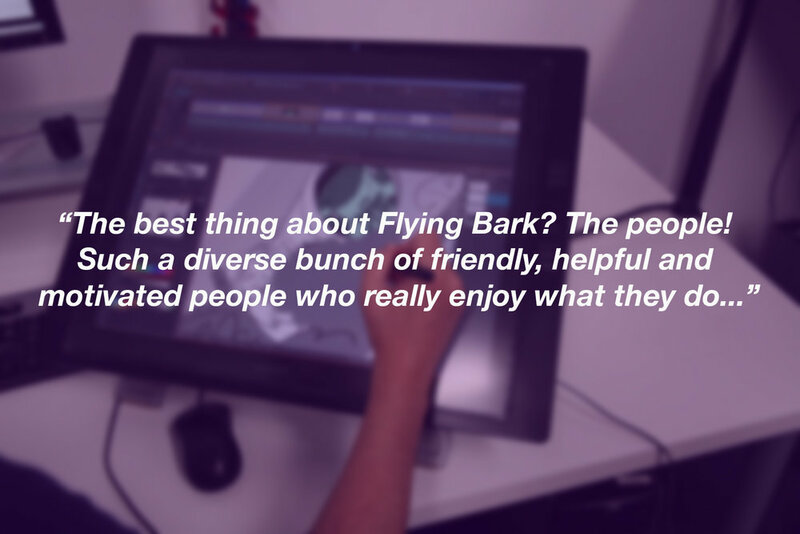 Flying Bark Productions Sydney is currently seeking a team of talented Storyboard Artists to work on our feature films and TV series! We are looking to recruit Storyboard Artists immediately, and over the coming months as we have a number of productions in the wings. To be successful you will a proven track record in CG feature film or TV series production. You will not only function as a conventional storyboard artist but also contribute collaboratively to both story and sequence development with the director, translating their vision through your boards. High professional standard of traditional arts-based skills including illustration; Excellent time management skills and an ability to work to deadlines; Ability to express, through drawing, action and its relation to the script; Desire and willingness to mentor junior staff; Comprehensive knowledge of cinematography and scene structuring; Superior eye for composition, staging and detail. Help with the casting of sequences as required. Production Coordinators and Production Managers wanted! Solid understanding and experience of animation in a production based environment. Flying Bark Productions is crewing up for a number of feature film and television series productions in 2018, and we are seeking Animation Line Producers to join our team! The Line Producer will work closely with the Producer, Director, Creative Supervisors and production team; managing the day to day running of the production, and is responsible for delivering their project on schedule and within budget. Ability to work well in a high-pressured production environment. Send us an email to jobs@flyingbark.com.au and attach your CV, Showreel and identify your area of expertise in the email Header. If your Showreel contains work where you’ve collaborated with other artists please note where you were directly responsible. Will I get a response from my application? Due to the large amount of applications we receive we will only contact you if we are progressing your application. Will you keep my details handy? Yes we keep track of applications and hopefully we can contact you again if there’s a role better suited to your experience. Do you hire international artists? From time to time we do however our preference is to support to local talent where possible. Often visa processing can take up to 2 months and the conditions around employing skilled overseas labour are quite strict, this can hinder our resourcing efforts. Yes however we prefer only local students and we’re only able to offer Internships when the studio is not full tilt and we can ensure the best learning outcomes for our Interns.